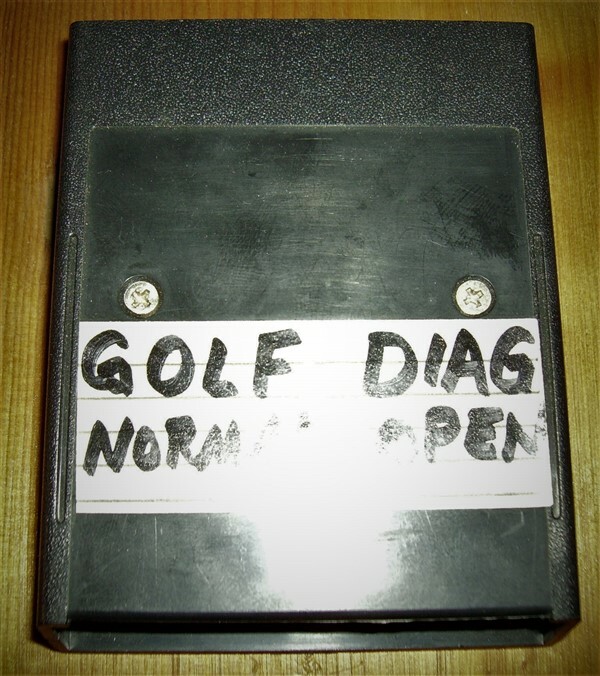 Jerry Lawson wrote this for a CA-based company that was developing an interactive golf simulator. 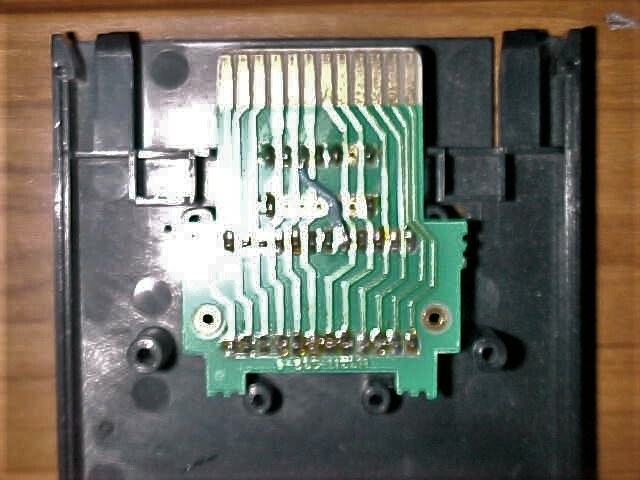 The program needs a companion piece of hardware to be fully useable. A person would stand in front of a large projection screen, and swing a special golf club outfitted with sensors that interfaced with a VCS, which would determine the results of the person's swing (direction, speed and distance of the ball). When you start the program and hit RESET, a stat screen appears, at which point it waits to receive input from the club. 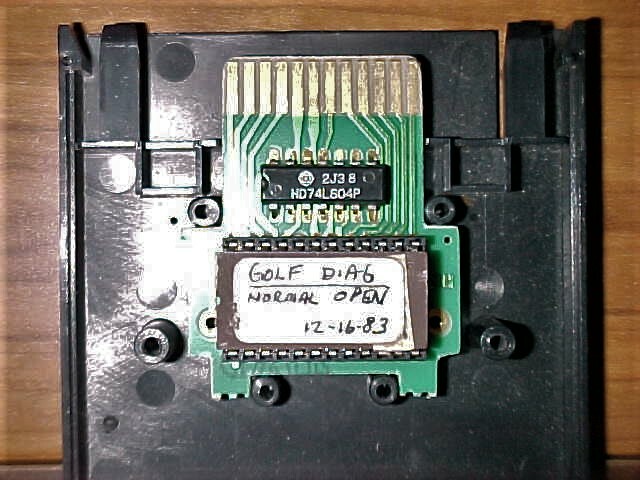 Only one cartridge exists, which has a hand-written label. 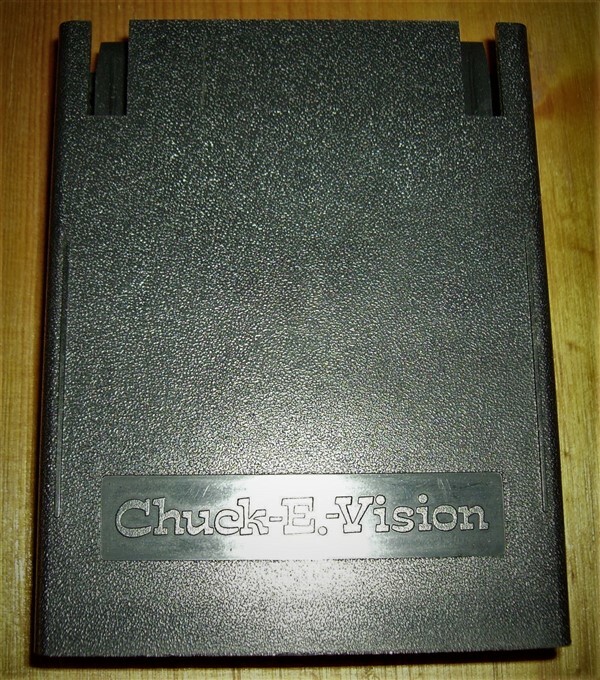 The cart has a completely unique cartridge case, and on the back in raised letters is Chuck-E.-Vision.